Like every child in Is-Land, all Astra Ordott wants is to have her Security Shot, do her National Service and defend her Gaian homeland from Non-Lander ‘infiltrators’. But when one of her Shelter mothers, the formidable Dr Hokma Blesser, tells her the shot will limit her chances of becoming a scientist – or helping raise the mysterious data-messenger Owleons Hokma breeds – Astra reluctantly agrees to deceive the Is-Land authorities and all her family and friends. Astra grows up increasingly conscious of the differences between her and the other Or-kids. 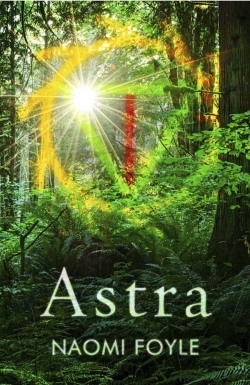 When Lil, an orphaned wild child of the forest, arrives to share Astra’s home, at last she has someone exciting to play with. But Lil’s father has taught her some alarming ideas about Is-Land and the world, and Astra is about to learn some devastating truths about Is-Land, Non-Land, the Owleons and the complex web of adult relationships that surrounds her. ‘Writing with Green Ink and Peanut Butter: Astra and SF’ for Litro Book Club. ‘Fathers and the Mothership’ for ReaderDad. ‘Home Truths: Domesticity, Astra and SF’ for SFX. 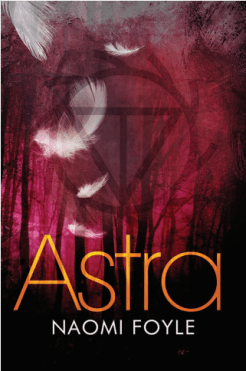 ‘A friend, alarmed by my five-year concentration on Middle Eastern problems, recommended Astra as an invigorating sort of escapism. She was right. My first experience of SF enchanted and stimulated me – making me wonder how soon a version of the Astra world could become our reality…’ Dervla Murphy – author of Full Tilt, Eight Feet in the Andes, and over twenty other acclaimed travel titles. Finally, just for my website readers – the alternative cover design . . .